I've updated my smartphone to Android 6.0 (marshmallow). Since, I can no longer connect me to the Panono's WiFi. I have checked the password. My tablet is perfectly connected (Android 5.0.1). But I have an authentication error on my smartphone. I did a full reset on the phone but same problem ! Running fine on 6.0.1 (Samsung S7) here. My Panono (which is still on firmware 5xx) works perfectly with my Nexus 6P running the latest version of Marshmallow. The Android app seems to be very eager to forget who I am -- I almost always have to log back in, which is annoying -- but once I'm logged back in, the workflow is just as it always has been, so there's nothing intrinsic about Marshmallow to interfere with the Panono. Same phone on Android 5.1 work. Problems come from the phone but i don't understand why. 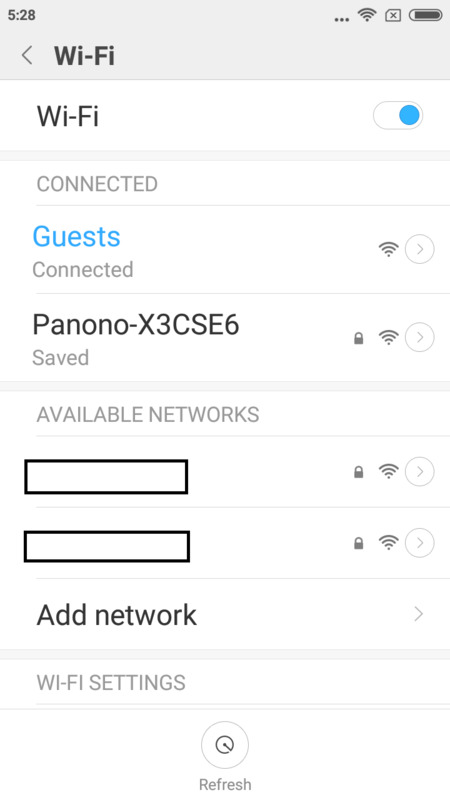 1) Connect to the Panono using the system wifi connection. Do not open the app. 2) After connection, wait approximately 30 seconds. 3) A message will appear in your notifications stating that there is no connection and asking whether you stay connected. 4) Click Yes. If you let this go, it may disconnect. 5) Open the app then click on camera. You should be connected. I got the same problem. 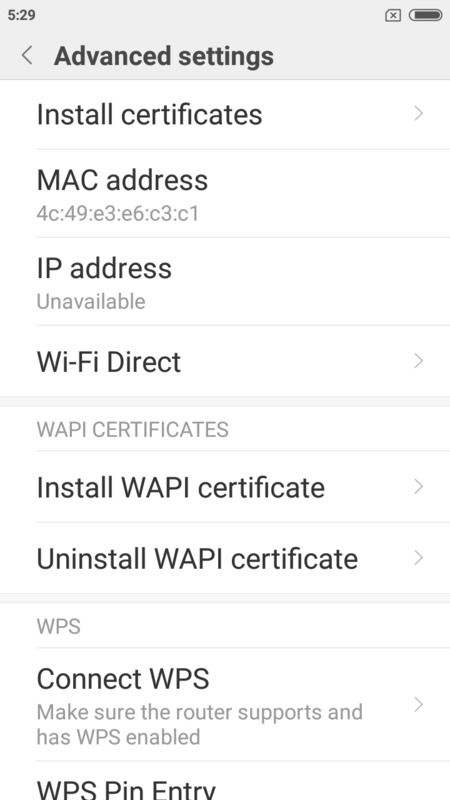 My telephone (Sony Z1compact) with android 5.1.1 does connect to the Panono in the app, however my tablet (Nexus-7 2013) with Android 6.0.1 refuses to connect. 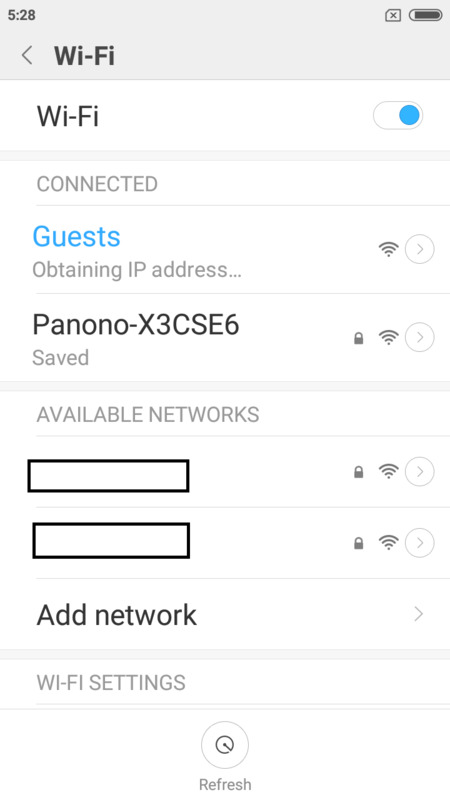 With the tablet, I can connect with the WiFi and I can see the IP address of the Panono (192.168.80.80) and the IP address the tablet gets (192.168.80.92/24). However in the app, the Panono is shown, but still the connection fails. Thank you for the report. I forwarded this. Since, I can no longer connect me to the Panono's WiFi. Maybe my issue will help you. 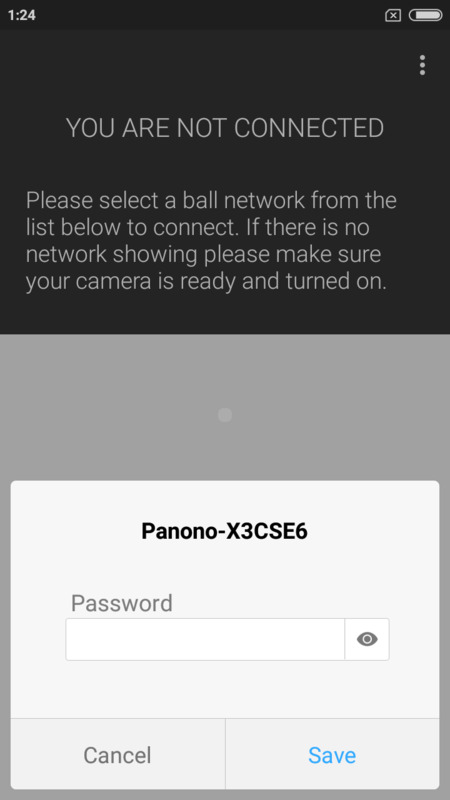 I am on S6 Marshmallow, and find that it is much better for me to NOT connect to the system wifi first, but to open the panono app and click to connect to camera, then choose the wifi there. 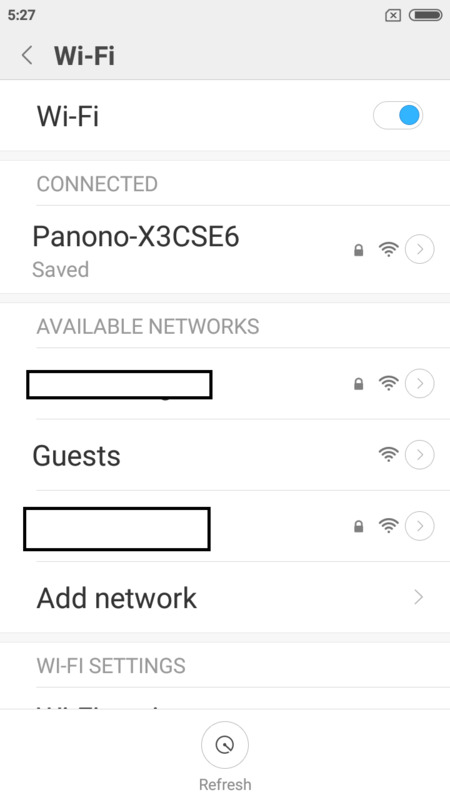 If I do not do this and connect to the system wifi first, I get a panono message saying it is "trying to connect", but then it does not succeed and fails - even though the phone IS already connected to the camera via system WIFI ! Last edited by lookin360; 16-08-16, 12:35. 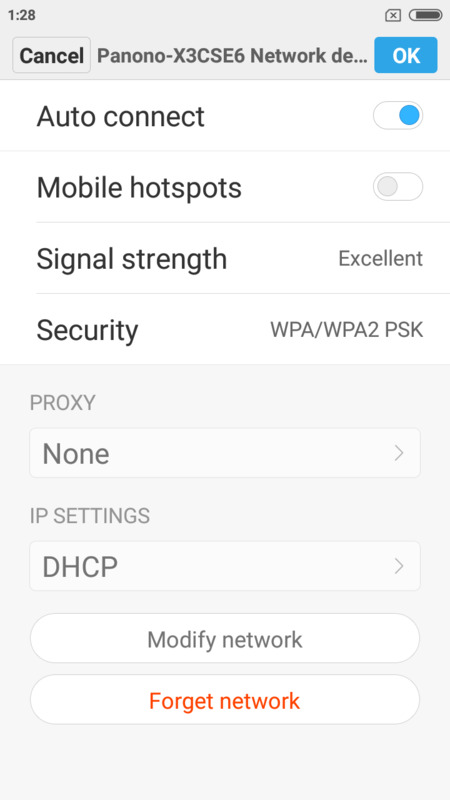 I've tried to use the old DHCP mode in developer options but no results. I see this is an old thread, but I just purchased a panono and also purchased a "dedicated" phone for the Panono, a MEIZU Redmi 4a (cheap chinaphone). It runs on android 6.0.1. 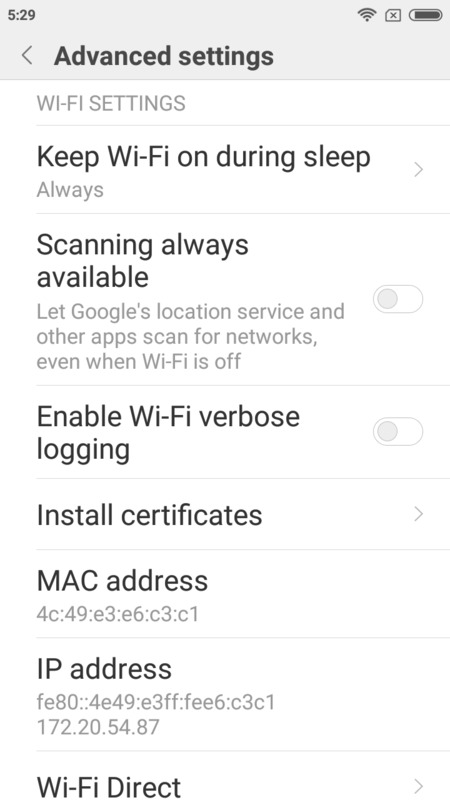 - tried to connect both directly from the app and also the to the network first and then to the app. - the phone keeps on asking for a password and reports an authentication problem. 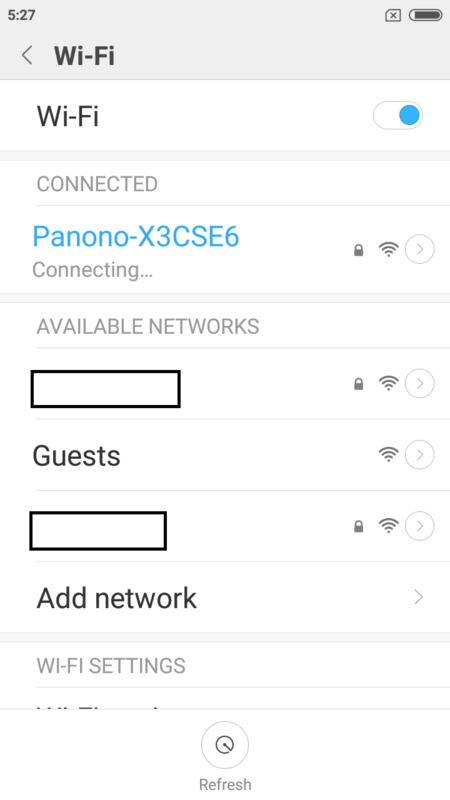 I then tried to connect to the Panono on an android 5.1 phone (also a cheap chinaphone): no problem, this phone connects in a heartbeat, I then tried to connect on 2 (premium) android 7.1.1 phones and those phones report exactly the same problem as the android 6.0.1 phone: no connection. Is this a known problem it seems unable to connect to any phone that runs on a more recent version than 5.x.x? Please help as I am stuck now with a 2000 EUR camera that doesn't work with the phone we specifically purchased for the camera..
Last edited by BTNL; 31-08-17, 08:43. 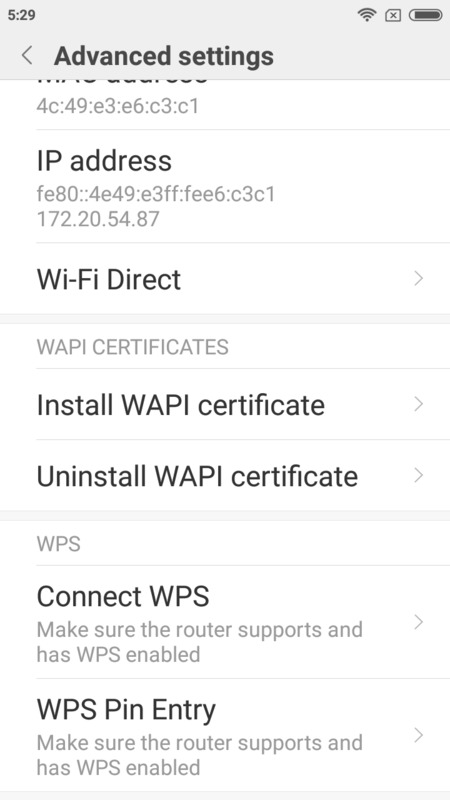 What is the statuf of the IP address when you try to connect? 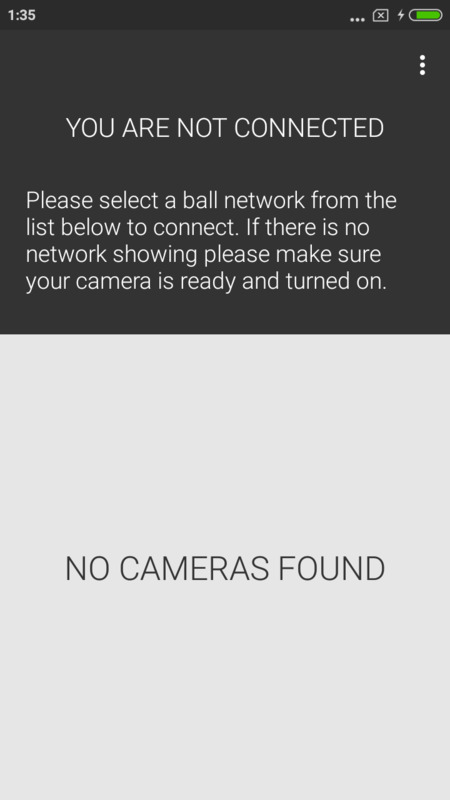 The camera is acting like a DHCP server and should assign an IP address to your phone. 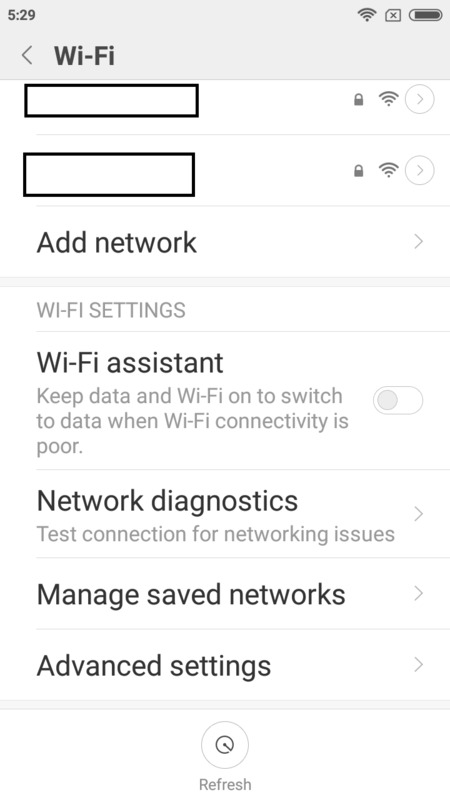 Please post some screenshots of the shown network settings. 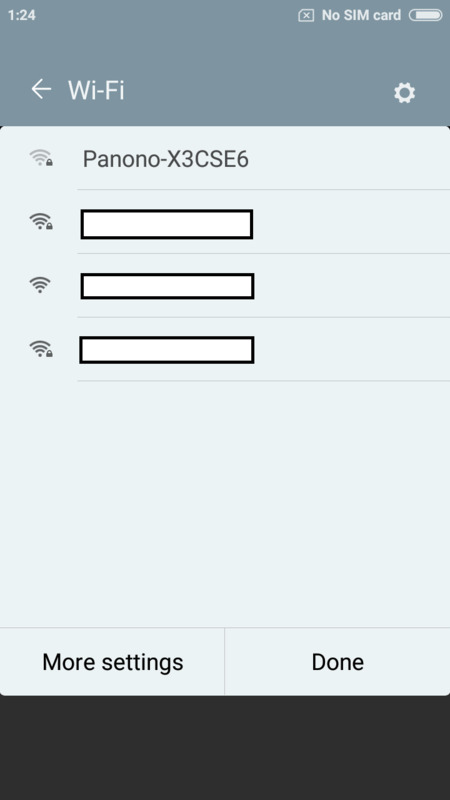 Make sure the Wifi connection is established first. This is a requirement for the app to communicate with the camera. If this level of connection can not be reached, there is really not much we can do, since the problem most likely resides on the side of the phone. Via your ticket I will send you instructions for extracting the logfiles from the camera. We can then tell you at which point of the connection the error appears and maybe figure out a fix for you. Hi, I have sent you the log files. I think the "intelligent network change" is not on this phone, there is an option called Wi-Fi assistant on this phone and it is switched off. see here the options and advance options that the phone has. (taken when connected to local wifi network) If there's anything you like to to try I will do so. but very quickly it retruns to the "saved" state. So it just doesn't connect, because after trying to connect the IP address is unavailable. It can't be the phone. It does the same on a Blackberry keyone (7.1.1), wheras it does connect to a galaxy s6 or s7.